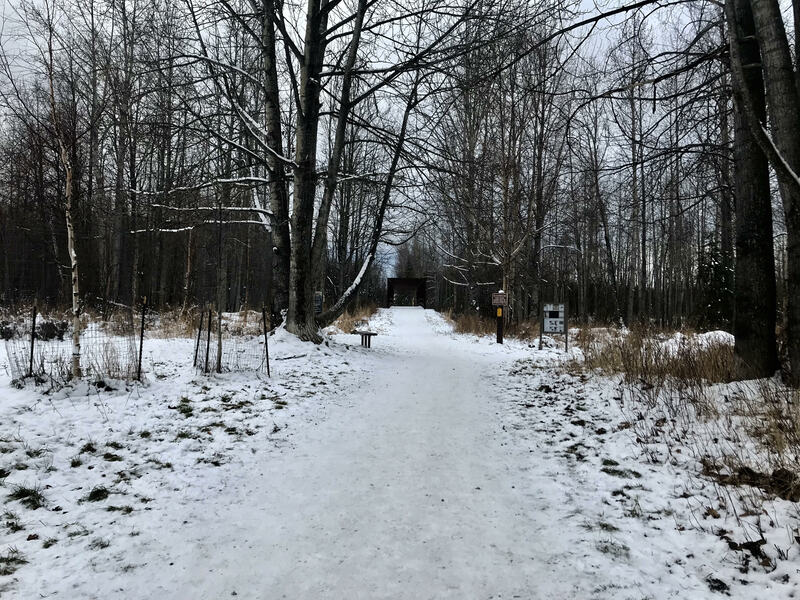 In Anchorage, it’s not unusual to encounter a moose on a trail. And bears, while not always a welcome sight, are a part of living in Alaska, too. But wild Alaska cows? That’s not usually a thing. Cyclists were perplexed when a bovine creature turned up on a popular Anchorage bike trail. Eric Parsons bikes along trails near the Campbell Airstrip regularly. But on a recent ride, he saw something pretty unusual. Parsons saw a big animal out of the corner of his eye — and it startled him. “As I’m riding by it, I notice that it’s not a moose and it’s not a bear. And I’m like, ‘are my eyes playing tricks on me?’ And definitely, in my mind, I could see that it was a big, black cow,” Parsons said. Parson’s isn’t talking about a cow moose. Parson’s wondered if his mind was playing tricks on him. “I was like, ‘Am I seeing things?’ Because I’ve never seen a loose cow, in the winter, night biking in Anchorage,” Parsons said. But, then Parsons caught word of another sighting. It turns out there is, indeed, a missing cow in the Anchorage area. They declined to comment further for this story.